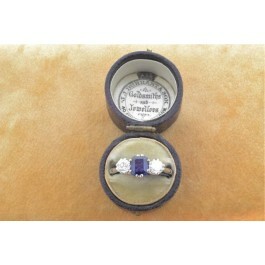 Diamond and Sapphire three stone ring. 18ct white gold Diamond and Sapphire three stone ring having a centre Sapphire weighing circa 75 points with transitional cut Diamonds either side weighing 45 points, H Colour, VS2 Clarity. All claw set.